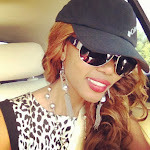 SPORAH TV: THIS TIME LETS GO LIVE WITH JANE DOKA..! THIS TIME LETS GO LIVE WITH JANE DOKA..! Jane Doka from Zimbabwe meet up with Sporah, and this is what she had to say.! My name is Jane Doka and I am a UK based Zimbabwean Gospel Artist. I called you the other day to see if I can have an interview on your show and advertise my upcoming album Reflections-Mirangariro and its subsequent launch in a live musical event to be held on 1st of October this year at Dunstable Conference Centre, in Luton Dunstable. I have lived in the UK for about 4 years now and have recorded and released two albums so far namely,Nditumeyi "Send me" and Tenda "Believe". I am an active Christian serving as worship leader at my local church Wings of Faith Global Ministries in High Wycombe.I have performed at many events, weddings, concerts, awards ceremonies and last year I was voted best female music artist at the Zimbabwe Awards 2010. 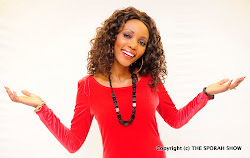 This year I was runner up in Gospel Artist of the year for the Zimbabwe Achievers Awards 2011. I am also actively involved in charity work with my husband supporting Fairfields Children home in Mutare Zimbabwe. Locally I am involved with the Wycombe African-Carribean Forum and have recently particiapted in events they have organised within my community in High Wycombe. I am driven by my passion to spread the word of God,but moreso to see practical changes in society through the building up of stronger families,equipping the younger generation and illustrating the important role of cutlure. I believe music and arts can influence society positively.I sing about God's will for His people, and I also touch on various groups and aspects in society.As a woman,I also sing about some of the challenges that we face, both Christian and non-Christian, for example,marriage issues, leadership,barrennes etc. In my upcoming project "Reflections-Mirangariro" I have come up with an international sound which has an unmistakeable african flavour in various afro-fusions including afro-jazz and afro-rock. I can arrange to send you some of the tracks for your listening if you wish.Reflections-Mirangariro is a compilation of Word based reflections concerning man's day to day life and his relationship to God the source of humanity.There are reflections on many different issues including Africa the motherland,her beauty and false myths that have surfaced regarding African culture versus the Christian faith. I also reflect on issues concerning true healing, self-belief according to the inherent power each of us has been given by the Creator, barrenness as a major problem for most women and also on faith, hope and love. More than just an album launch, the "Reflections-Mirangariro Concert" is a social event that seeks to raise an awareness to the local community and its various groups on the important role that Christianity and culture plays. It will feature performances and appearances by various artists and influential figures from the local community as well as different parts of Africa.Featuring so far is Uzambezi Arts ( a southern African song and dance group), Gospel Sounds of Africa (a West African female dance group based in Oxford),Farai Muradzikwa a young upcoming male artist with massive talent and Mantongande (the Ndebele Queen of Gospel). The event is being organised and supported by Brian Nyabunze of the Rollers Family, Onny Mposhy of Rise up Investments, Peter Soko aka Soxx of Tim2Soxx Entertainment, Jane Doka Management and Mr Conrad Mwanza of CM Investments playing and advisory role. 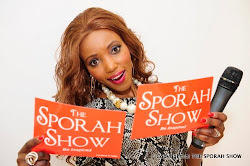 Will you be there Sporah? This is Beautiful Jane. Mwari vakatendeka varambe vachikusimudzira. It's so wonderful to have people like u. We Love You Jane. KEEP YOUR HEAD UP SPORAH.